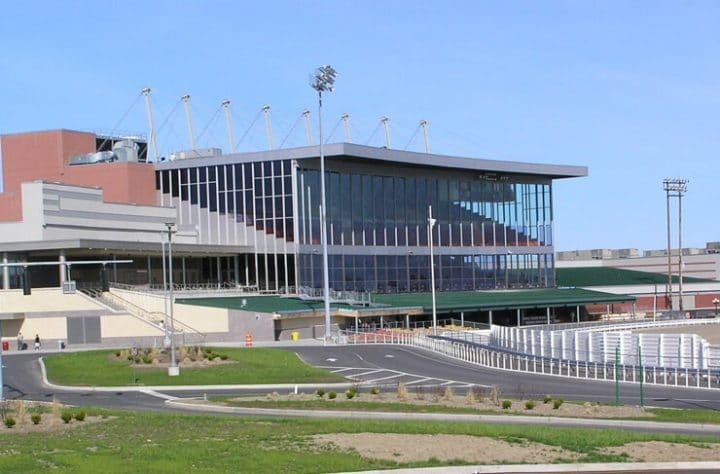 Shortly after the board of the New York State Gaming Commission green-lighted preliminary rules for legal sports betting at upstate New York casinos on Monday, the board took further action on the sale of Yonkers Raceway to MGM. While the sports betting approval marked the middle of a complicated process, the four MGM votes marked the end of one: The 120-year-old racetrack is now under new management. The board approved MGM Yonkers Inc. — a relative of MGM Resorts International — to conduct harness racing at the track in 2019, to offer simulcasting and account wagering as well as video lottery gaming, and to approve a byzantine debt transaction of hundreds of millions of dollars. MGM announced its plans last May to buy the racino from the Rooney family for $850 million, but the complexity of the deal left commission staff needing more than six months to complete the review. The decision by casino giant MGM to buy its first racetrack is a fascinating one — and a gamble at that. The Yonkers site in Westchester County, which includes its Empire City Casino with more than 5,000 slot machines, is just under 20 miles from midtown Manhattan. The casino reports annual net revenues of more than $200 million, thanks in large part to its close proximity to millions of potential customers. But is it worth $850 million? As well-situated as the racino is, there are drawbacks. While the four new upstate commercial casinos will be able to offer sports betting within the next four to six months — with the same option afforded to the seven native American casinos in the state — so far Yonkers is left out of that loop. The racino also lacks an upscale hotel. But if MGM builds one, as many local officials expect will happen, that could be a game-changer. Another issue is the fact that the Yonkers site is barred from offering live-dealer table games, which limits the racino audience to slots lovers and those who are willing to settle for video versions of poker, craps, and other table games. Not that there was any doubt that MGM would want to upgrade to a full-scale casino anyway, but last May’s announcement of the proposed purchase included a notice that MGM will pay an additional $50 million as part of the sale if Empire City gets a full casino license by the end of 2022. The jockeying already has begun regarding legal sports betting expansion, with off-track betting sites and other racinos wanting in on the action, too. With Gov. Andrew Cuomo and the gaming commission board in agreement that expanding sports betting sites in the state would require a Constitutional amendment, that sets up a cumbersome process in which the Legislature must approve such a plan in two consecutive sessions, and then put it to voters statewide in a third calendar year. If politics intervenes — and this is Albany we’re talking about — that process could get backed up, cutting into Yonkers’ longterm revenues even if its efforts prove successful. Another issue is when the state allows for online sports betting. That no doubt will be part of any referendum, but there is doubt as to which operators will get a piece of that lucrative pie. Then there is the case of future competition. There is good reason why the Yonkers racino spent more than $1.5 million in lobbying against a 2016 referendum in neighboring New Jersey that would have permitted two “billion-dollar minimum” casinos in the northern half of the state. The first site that comes to mind in the region is the Meadowlands Sports Complex, just 20 miles southwest of Yonkers Raceway. The Westchester track buses in North Jerseyans every day to its casino, but most of those visitors would figure to divert instead to a Meadowlands casino, especially if it offers a more robust gambling menu. It’s the same reason that owners of a Catskills casino poured in an additional $2 million to that campaign — while Meadowlands Racetrack owner Jeff Gural spent millions backing it. Gural, by the way, owns the Tioga Downs racetrack that received one of the four new casino licenses and thus is poised to add sports betting this year. Another way for MGM to get the most out of its purchase of the 97-acre site could be, as some suggest, to relocate the harness racing schedule mandated as part of the deal to Belmont Park. That would open the door for the possibility of a massive, Las Vegas-like casino complex. We haven’t even mentioned Genting yet. The well-funded Malaysian company runs the Resorts World gambling properties in the Catskills as well as at Aqueduct Racetrack in Queens. Genting will be aggressive in protecting its interests in all this. And let’s not leave out the biggest prize of all: the possibility of a Manhattan casino that would attract wealthy tourists all over the world. While Gural is not convinced that will ever happen, the lure of an unfathomable tax bonanza will make some legislators’ mouths water. Add it all up, and let’s just say it must be good to be young and a gaming lobbyist in Albany for the next few years, at least.